Booktique is organizing a short fiction challenge to promote creative writing to aspiring writers! Using the prompt (a photograph), write a story of about 2000 words and submit it to them by 15 July. There’s a total of 5 Samsung Galaxy Note 8.0 tablets to be won by the top entries in two categories. For more information on the rules of the competition, do check out the link. Good luck! 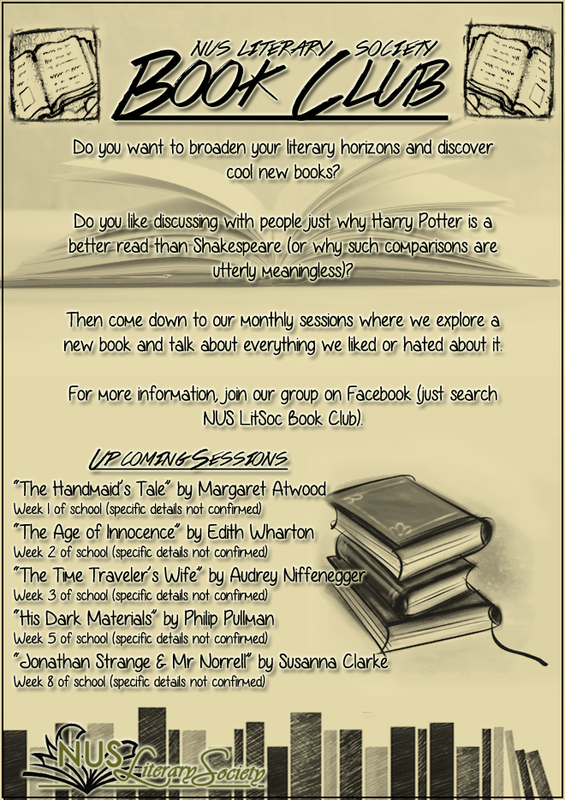 Book Club Sessions in AY2013-2014 Semester 1! 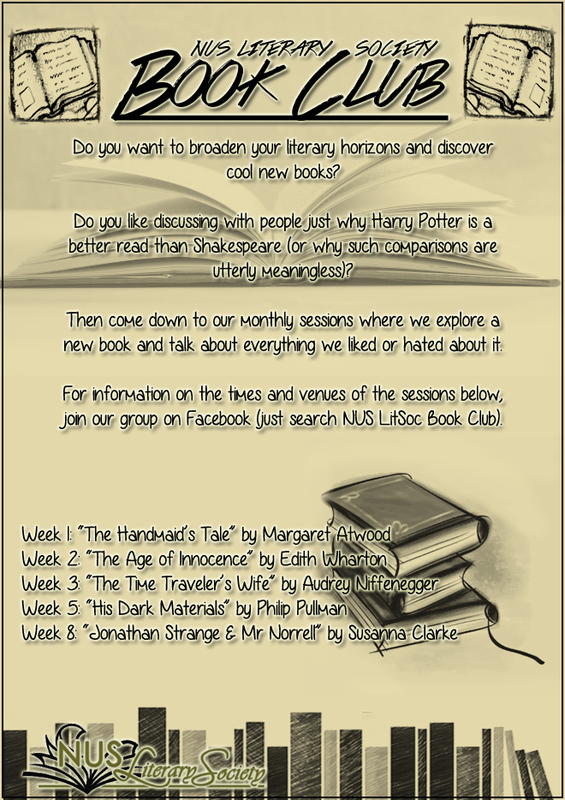 We’ll be hosting a series of book club sessions in the first few weeks of the new semester in AY2013-2014! If you haven’t read those books (see poster) before, do so over the holidays and join us for the sessions when the semester begins! It’ll be an opportunity to discuss these wonderful books and also meet other literary-minded individuals (especially all the starry-eyed freshmen). 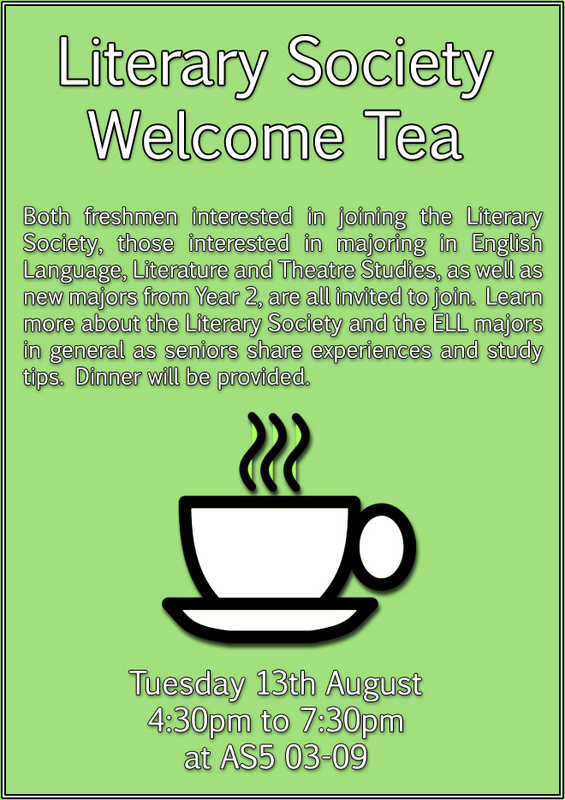 More details will be provided closer to the start of the semester, but you should probably start on those books now*. We’ll see you when school starts! *Hint: Kinokuniya is having a 20% store-wide discount for all customers this weekend! Announcing The Winners of CWC 2012! Presenting to you the winners for the recently concluded Creative Writing Competition 2012! Congratulations to all winners and a great big thank you to all who bravely tried their hand at writing! So come on down to EPM 2013, this 1st of March to catch these budding writers in action. 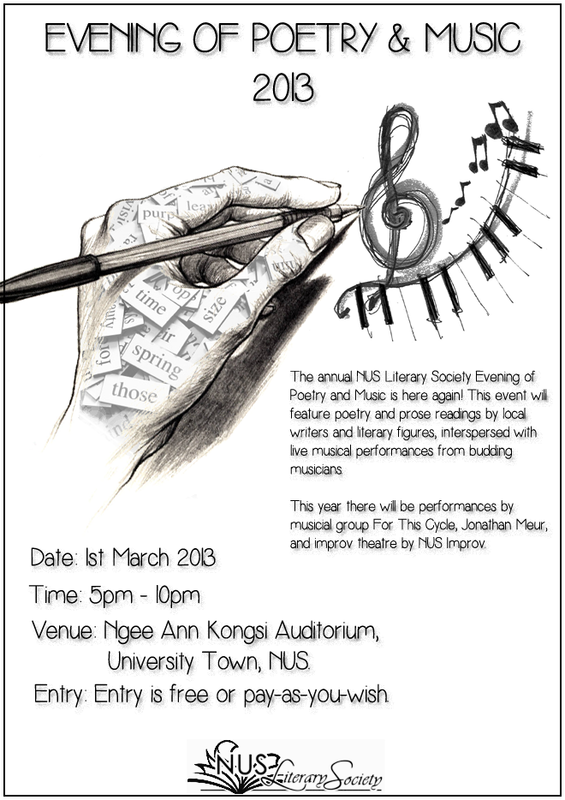 The Evening of Poetry and Music will be held on the first of March this year! As part of our long-standing tradition, we will be inviting the winners of the Creative Writing Competition 2012 to read excerpts from their winning entry. We have also invited local music artists For This Cycle and Jonathan Meur to perform during the evening. 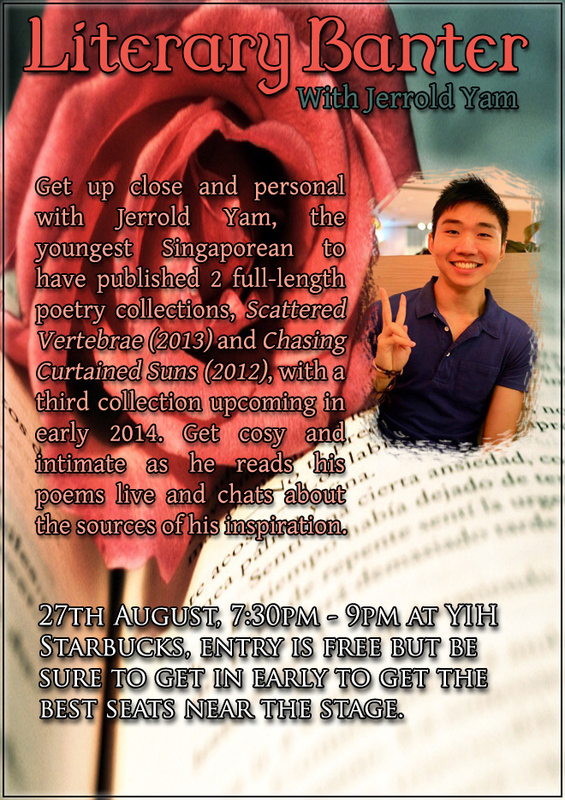 NUS Improv will also be performing an item as well. Entry for the event is free-of-charge. However, we will be implementing a pay-as-you-please system at the end of the event.. Do come down and join us for a wonderful evening! P.S. Due to their busy schedules, our judges are still reading your CWC entries. We will post the results here when it’s all in, so watch this space. Our apologies for the delay! All works submitted should be original and have not been published anywhere else (this includes personal blogs). All works are to be sent as an email attachment to symbalmagazine@gmail.com in a .doc file. 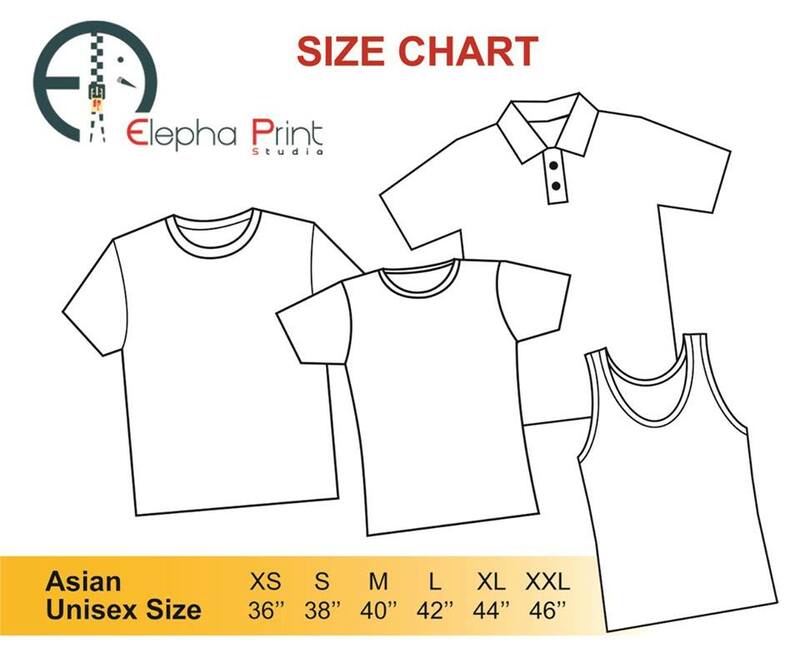 Kindly order the e-mail’s title as follows: ‘Musings Submission: < title of piece>’. Your email should contain your name, faculty and matriculation number. 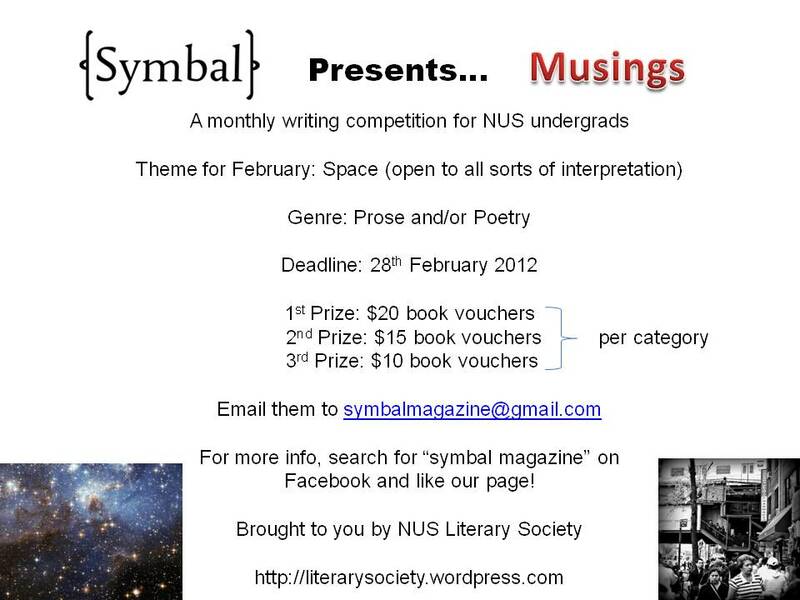 The top 3 pieces and 2 honourable mentions will be selected to be published in Symbal Magazine. Symbal will have first publishing rights. All rights revert to the author upon publication. We would appreciate if you could mention that your work was first published in Symbal magazine should you send it to other journals for consideration after the competition. Submissions that fail to abide by the guidelines will be disregarded.